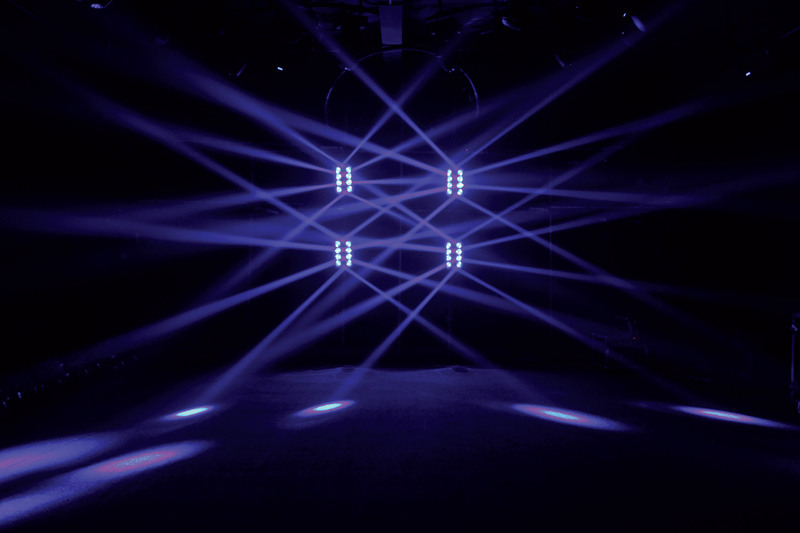 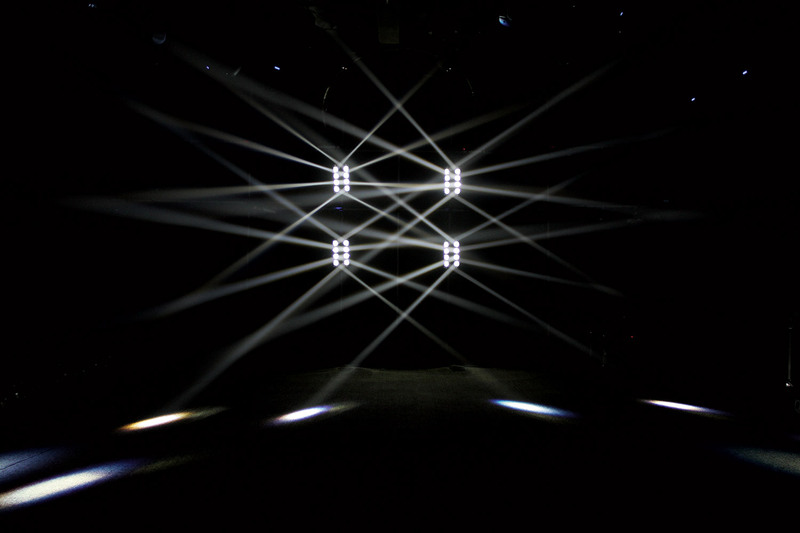 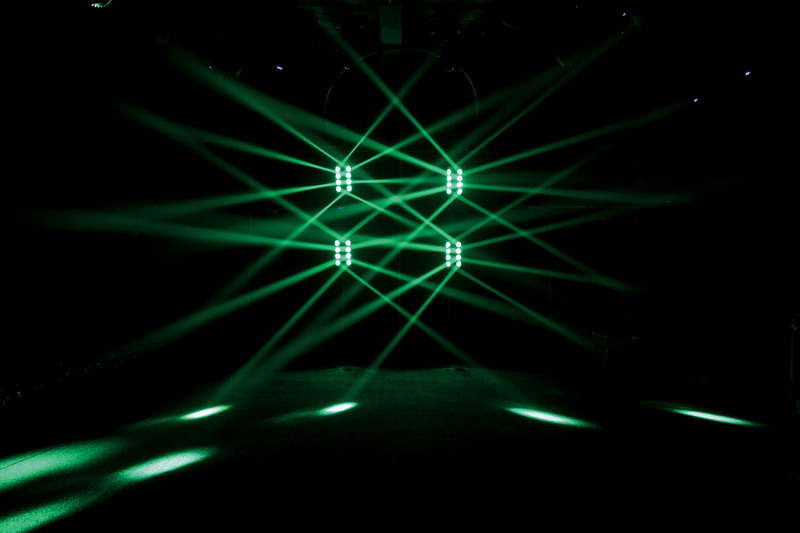 The EPSILON SPYDER BEAM is a professional Double Head Moving Beam fixture designed to produce 8 continuous sharp mind blowing beam Aerial Effects with infinite and continuous pan movement. 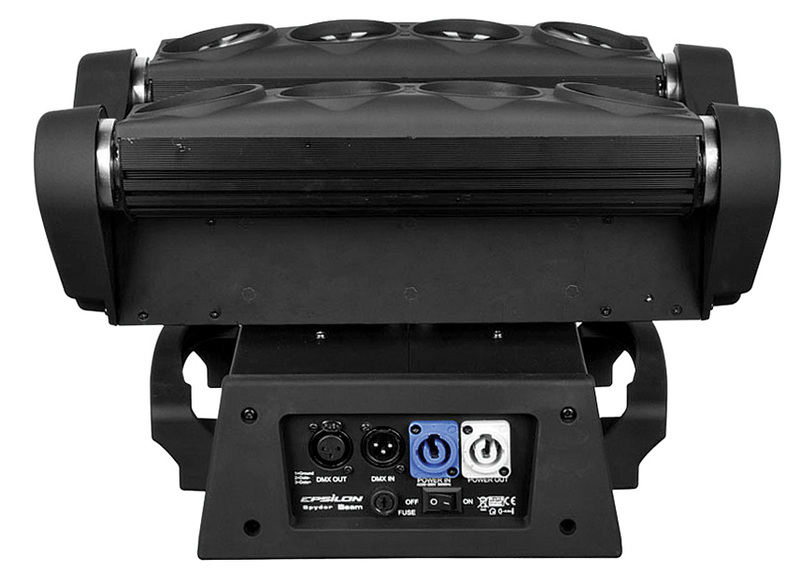 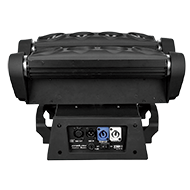 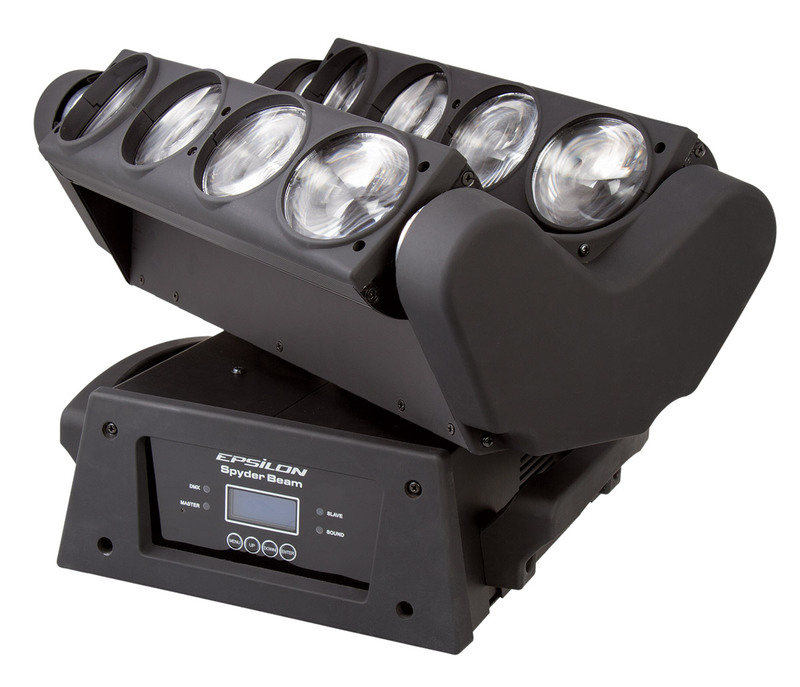 This fixture is armed with 8 CREE X-Lamp XM-L (4-IN-1), RGBW 10W LEDs to deliver a high intensity performance and output needed for medium – large size venues, club installs, event entertainment and rentals. 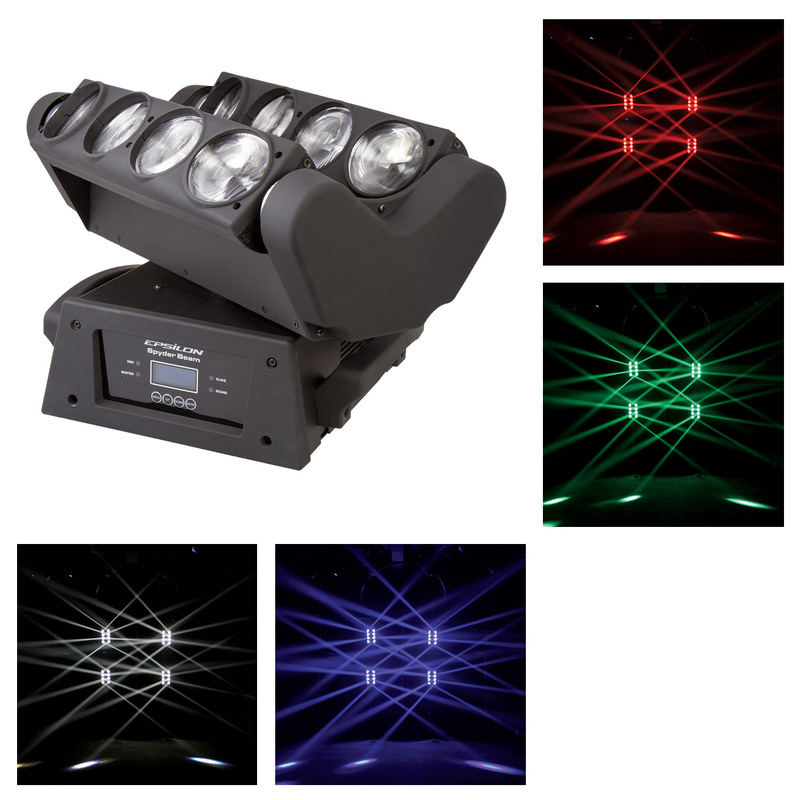 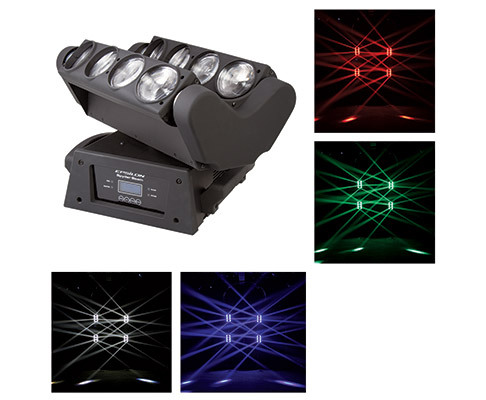 SPYDER BEAM delivers double excitement and coverage with continuous rotation on its parallel double head design featuring 8 powerful and outstanding colorful beam effects offering Red, Green, Blue or White colors (RGBW) with a reliable Cree 4-IN-1 LED lamp. 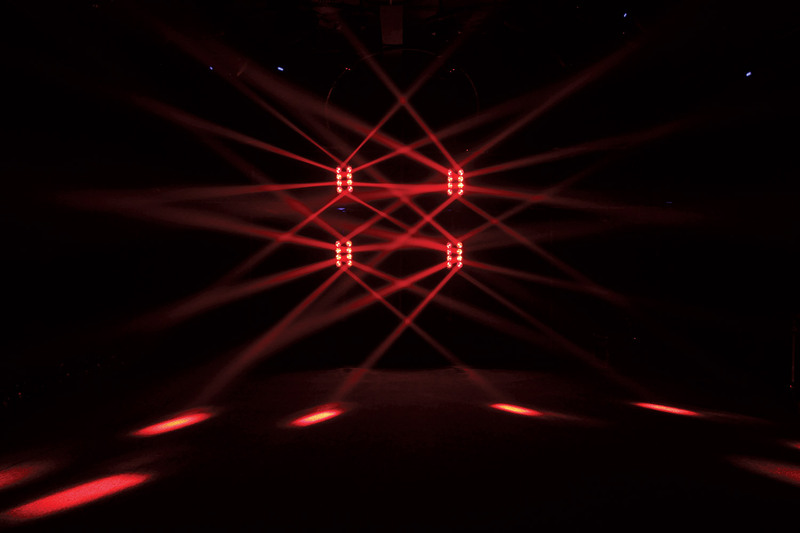 Control individual head movement, individual cell control, color mixing, or pixel mode and create state of the art lighting designs for your next client. 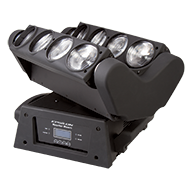 With multiple operation modes including DMX-512, Master-Slave, Built-in Programs and Sound Activation mode the SPYDER BEAM gives you all the flexibility you need for easy design and set-up on the road.